Author: O'Donnell, Joe Set In . . . 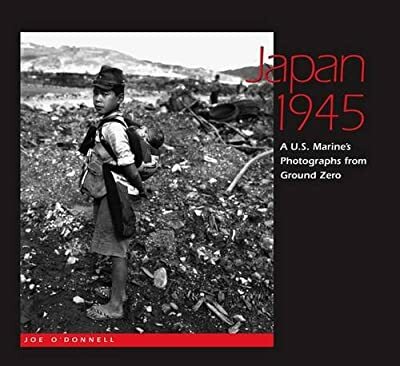 Description: In September 1945 Joe O'Donnell was a twenty-three-year-old Marine Corps photographer wading ashore in Japan, then under American occupation. His orders were to document the aftermath of U.S. bombing raids in Japanese cities, including not only Hiroshima and Nagasaki, but also cities such as Sasebo, one of the more than sixty Japanese cities firebombed before the atomic blasts. "The people I met," he now recalls, "the suffering I witnessed, and the scenes of incredible devastation taken by my camera caused me to question every belief I had previously held about my so-called enemies." In addition to the official photographs he turned over to his superiors, O'Donnell recorded some three hundred images for himself, but following his discharge from the Marines he could not bear to look at them. He put the negatives in a trunk that remained unopened until 1989, when he finally felt compelled to confront once more what he had he had seen through his lens during his seven months in postwar Japan. Now, for this remarkable book, seventy-four of these photographs have been assembled. The images of destruction--a panorama of Ground Zero at Nagasaki, a lone building still standing near the Aioi Bridge at Hiroshima, a fourteen-year-old burn victim lying in a coma--are, of course, wrenching beyond words. But the book includes hopeful images as well, and these are equally affecting--children playing on a road, young girls carrying their infant siblings on their backs as they go about everyday routines, geishas performing a traditional dance, Marine boots mingled with Japanese sandals outside a church entrance. Exhibited in Europe and Japan during the 1990s, O'Donnell's photographs were first published in book form in a 1995 Japanese edition. This edition, the first to appear in the United States, includes an additional twenty photographs and will bring O'Donnell's eloquent testament to the horrors of war to an even wider audience.